Perhaps Bryan Adams’s world changed that day realising the power of globalisation. Indeed, globalisation made his products (songs) very popular and made Bryan Adams a household name in many houses of this third largest Muslim country of the world, thanks to the growth of communication, media and internet. It is noteworthy to mention here that not only western rock and roll music influenced Bangladesh through its own products but also this special genre of music is far more successful in influencing Bangladeshi artists, thus triggering a rock ‘n’ roll movement in the country. Its influence has produced a good number of hugely popular Bangladeshi rock stars including LRB, Warfaze, Miles and James. On stage they dress similar to Aerosmith or Guns ‘n’ Roses (GNR) band members, and produce tunes under heavy influence of Aerosmith, GNR, Pink Floyd, Jimi Hendrix, Dire Straits or Joe Satriani in the local language. By contrast, while we have experienced a sharp rise in influence of western cultural products in our lives, we have also seen a sharp rise of Islamist movements in the country as on August 17, 2005 Bangladesh experienced its own 9/11 in a shockwave of terror when a relatively unknown Islamist group at that time, Jamaatul Mujahedeen Bangladesh (JMB), detonated 500 bombs simultaneously across the country in demand of establishing the ‘law of Allah’ in the country by abolishing the present democratic system. Their claim was that democracy and constitutions are sources of polytheism. As if this was not enough, the JMB then struck Bangladesh’s judicial system by several suicide bomb attacks, on October 3 and 18 and November 14, 2005 respectively, murdering four judges to underscore the seriousness of their demand. Most of the leaders of that notorious group have either been hanged or brought to justice. 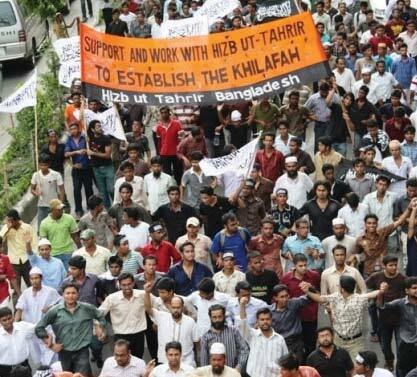 At the same time, we have experienced the rise of Hizbut Tahrir Bangladesh, a close acquaintance of Hizbut Tahrir which preaches its global project of establishment of Caliphate. According to many reports, it has a strong support-base in English medium schools alongside a section of youth in public and private universities. In fact, about 100 different Islamist parties are now operating in Bangladesh, based on the categorical distinctions coined by Ali Riaz (2008), according to whom three types of Islamist parties operate in Bangladesh: those who participate in the existing political system, those who work within the democratic political system despite reservations and those who refuse to take part in constitutional politics and remain clandestine.This article looks into these conflicting aspects of globalisation in Bangladesh and argues that the project of globalisation in Bangladesh brings so many unavoidable discursive forces in our lives that we are heading towards a hybrid society, if we are not one already. Especially in the case of popular music, it is fair to argue that a large part of the popular music produced and consumed in the world today is made under the influence and inspiration of Anglo-American pop/rock — or, to be more precise, it is based on the adoption and implementation of what Motti Regev (2003) calls the ‘rock aesthetic’. Regev argues that, ‘popular music thus epitomizes the new forms of cultural diversity associated with the globalization of culture — diversities based on cores of shared practices and technologies, and on logics of eclecticism and hybridity’. By ‘Rock Asthetic’, Regev (2003) refers to a set of constantly changing practices and stylistic imperatives for making popular music, based on the use of electric and electronic sound textures, amplification, sophisticated studio craftsmanship, and ‘untrained’ and spontaneous techniques of vocal delivery. He further argues that, ‘central to the rock aesthetic is also an eclectic logic that encourages the application of these means to any musical style’. In short, Regev’s definition of ‘rock aesthetic’ refers to the music making process of modern day. Before I elaborate further into the globalisation process of ‘rock-aesthetic’ which Regev terms as ‘rockization’, it is noteworthy to mention here that rock music came to be closely associated with the ’empowerment’ of everyday lives of youth (Grossberg, 1984), with implied ‘resistance’ to the dominant culture, and with active subcultural rebellion against hegemony (Hebdige 1979; Frith 1981; Wicke 1990). 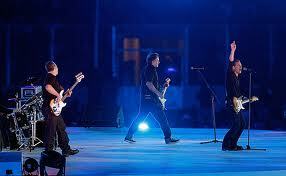 Rock music, as creative practice and as ideology, was successfully exported to many parts of the world. During the 1970s and 1980s, ‘it was gradually adopted and embraced by musicians and audiences all over the world’ (Regev 2003). Paradoxically, this expansion of rock aesthetics through the process of ‘rockization’ did not attribute to the cultural imperialism even though it was expanded across the globe through Anglo-American multinational media corporations. Rather, in reality, local musicians embraced the ‘rock aesthetics’ and began to produce local music through this process. Regev observes, ‘the rock aesthetic was accepted by musicians and audiences around the world as a way to make local music that expressed rebellion against conservative traditional cultures and authoritarian regimes.’ Indeed, local hybrids of rock music often came to be perceived as authentic expressions of a modern and contemporary spirit within local or national cultures. In independent Bangladesh, various pop-groups under the leadership of freedom fighter Azam Khan began to experiment with ‘rock-aesthetic’ in local language while after the end of the Cold War which also ensured the triumph of capitalism after the 1990s, popularity of such groups i.e. Rock Strata, Warfaze, Winning, Prometheus, In Dhaka, LRB, Souls, Feedback was sky rocketing. The heavy influence of western rock stars on Bangla rock stars is obvious with Bangladeshi boys dressing like western rock artists, i.e. in jeans, three-quarters, high-boots, black t-shirts, long hair, etc. They even have tattoos on their bodies. This also has a huge impact on listeners who follow them. 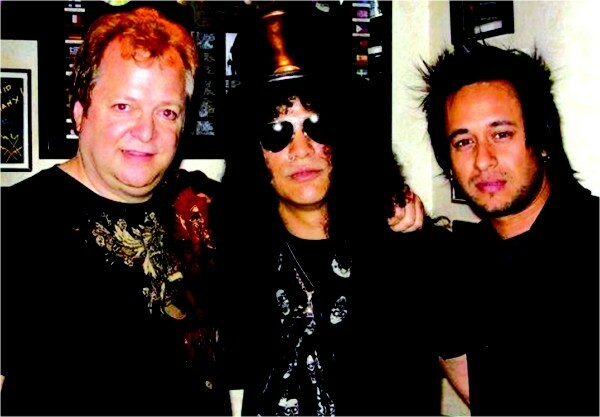 Not only that, our boys dress like western rock stars and produce rock music in Bangla, a guitarist — Russel Ali of Warfaze — migrated to USA and ended up playing with world famous rock band Limp Bizkit. Over the years, via instruments of globalisation i.e. internet, satellite TV channels, i-pod, mp3 players, Bangladesh has experienced an overwhelming influx of western rock music which encouraged more and more young people to join in the musical revolution through ‘underground music movement’ while keeping the rock-aesthetic as the generic apparatus of producing music. Through this ‘underground music movement’ we have seen the emergence of Artcell, a rock band which now has 100,000 fans on Facebook. Lyrics of such bands are a shock to traditional culture as they explored man-woman relationships more openly, criticised ‘pseudo democratic’ system and some times expressed disgust at the corruption in political culture. In addition, they dared to experiment with traditional music genres such as Rabindra Sangeet and folk songs, which is perceived to be puritan, with rock aesthetics. Interestingly, agents of globalisation — big multinational companies promoting consumer culture, provide special support i.e. 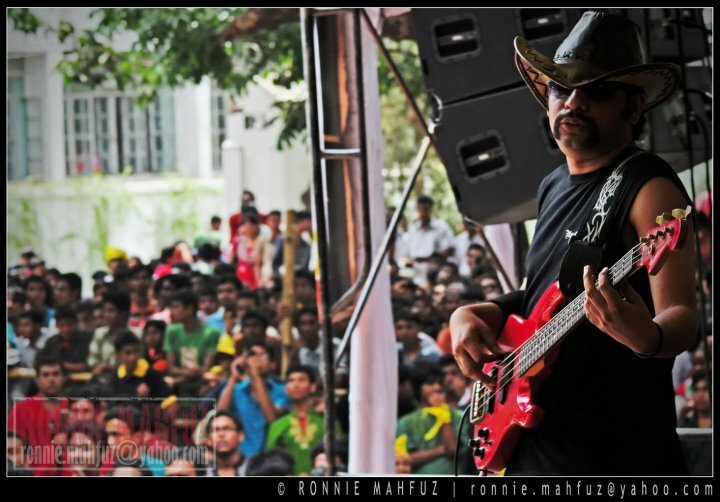 sponsoring concerts, recording albums for the ‘rockization’ process in Bangladesh. It is plausible to argue that because of ‘rooted cosmopolitanism’ among Bangladeshi citizens, the ‘rockization’ process has been successful. Etymologically, cosmopolitan is a combination of ‘cosmos’ and ‘polis’. Thus ‘cosmopolitanism’, interestingly enough, relates to a premodern ambivalence towards a dual identity and a dual loyalty. A German scholar, Becks (2003) argues that cosmopolitanism is rooted in every human being. He states, ‘human beings are rooted by birth in two worlds, in two communities: in the cosmos (namely, nature) and in the polis (namely, the city/state). To be more precise, every individual is rooted in one cosmos, but simultaneously they are rooted in different cities, territories, ethnicities, hierarchies, nations, religions and so on. Cosmopolitanism is also readable as a way of combining the universal and the particular, bringing about nation and world citizenship. In my understanding, the whole concept of cosmopolitanism is a shock to the ‘national’ world, which refers to the world that had a clear division between ‘inner’ and ‘outer’ or ‘domestic’ and ‘foreign’. Becks (2003) argues that, ‘in this world the nation state was the principle of order. Politics were national politics, culture was national culture.’ He further adds, ‘International politics was a multiplication of nation states, each defining one another’s borders and mirroring one another’s essential categories. National and international were two sides of an interdependent whole.’ In other words, it was really hard to conceive of a nation state in isolation as to imagine an inner without an outer. However, the forces of globalisation challenged the national control over national territory through transnational activities. Al-Rasheed (2005) argues that, transnationalism often is used interchangeably with globalisation. She asserts, ‘while globalization is a process from above, the concept of transnationalism embodies activities and process from below’. In this way, ordinary people through various transnational flows challenge the capacity to traditional state-centric realists’ view. Thus it is fair to argue that transnationalism focuses on non-state actors and entities operating on the border of inside and outside of a state. To be precise, according to Mandaville (2001), transnational activities now challenge ‘international aspect’ of a nation state. Mandaville states, ‘international aspect of a nation state refers to –political identity (mainly citizenship) and sovereignty (nation states autonomous control over political boundary)’. In fact, four transnational forces — a) migration, b) cross-border social movement, c) formation of supranational political bodies, and d) phenomenal growth and advancement in communication and media — assert challenges to international aspects of states (Mandaville: 2001, 2007; Al Rasheed: 2005, Kibria: 2008; Alasuutari: 2000). To sum up theoretical perspectives, I argue that one way to look into this globalised world, is national citizens are becoming cosmopolitan citizens or world citizens against the backdrop of increasing transnational activities. Within this paradigm, it is no wonder that a part of Bangladeshi society is now transformed into ‘rock generation’ (by this I refer to rock music lovers which includes music producers, sponsors and listeners) since the rooted cosmopolitanism within them flourishes on the face of transnational forces. However, it is critical to understand that when I talk about rock generation, it does not necessarily refer to a static group. A person could belong to a rock generation, at the same time s/he could belong to another traditional group, for example ‘classical music’ per se. This is the dynamism of cosmopolitanism. In the next section I shall look into another interesting aspect of globalisation in Bangladesh. In the previous section, I argued that globalisation refers to a global discourse of society, economics, culture and politics. One of the main aspects of globalisation, as Giddens (1990) states, ‘is about the intensification of worldwide social relations which link distant localities in such a way that local happenings are shaped by events occurring many miles away and vice versa’. However, it has its own limitations as Clark (1997) argues, that globalisation shows a tendency of fragmentation within itself. Bauman (2000) explains: ‘globalisation tends towards disaggregation, autarchy and isolation, as well as ethnic or nationalistic separatism and regional integration’. Therefore, theoretically as well as practically, as is increasingly recognised now, it is globalisation’s nature that it will create an alternative discourse to its homogenising tendencies. According to Hall et al. (1992), this alternative discourse has no fixed political inscription; it can be either progressive or regressive and even fundamentalist. This is where the story of another aspect of globalisation of Bangladesh begins where I examine the raison d’être behind the rise of Islamist movements in the country. In Bangladesh, globalisation has had a mixed impact. It has created new opportunities for income generation with the entrance of multi-national corporations and opened the door of migration through which five million Bangladeshis have gone outside of the country in search of their livelihoods. According to an economic report from Bangladesh, textile exports and remittance sent by migrant workers are the two biggest sectors which enable the country to increase its foreign currency reserve. By contrast, a bleak scenario is emerging in globalised Bangladesh. According to the United Nations, 80% of Bangladesh’s population of 143 million lives on less than $2 a day (quoted in Gouverneur: 2005). Moreover, United Nation’s 2008 human development index (HDI), which provides a composite measure of three dimensions of human development — living a long and healthy life, being educated and having a decent standard of living — Bangladesh ranks 147th out of 179 countries. As a consequence of such bleak globalisation, a section of the masses in Bangladesh, who are already economically deprived and exploited by a group of elite feel that the presence of the west-dominated capitalist agendas which also promote foreign western culture in the country are eroding traditional Muslim values. These groups of people take comfort in transnational Islamist movements since they propagate against the west and engage them in transnational activities. It is because as Al-Rasheed (2005) argues, ‘transnationalism has become something to celebrate, as an expression of subversive popular resistance from below’. Moreover, the ‘leaflets and publications’ of the transnational political organisations articulate that the west is a source of evil power which purposefully is building a neo-empire at the cost of Muslim culture and Muslim lands. Thus the discourse of ‘local’ develops within the dominant ‘global’ discourse in Bangladesh. Here the transnational actors of Islamists — migrant and diaspora, inter-regional Muslim political parties and Islamic charities — play a significant role in developing the local discourse of Islam against the global discourse of capitalism. However, at the same time they use the blessings of globalisation, i.e. the usage of the internet. This is not an isolated issue in Bangladesh. Throughout the Muslim world including, Pakistan, Indonesia, Egypt, Syria, Algeria and Sudan, transnational political Islam preaches the return to the golden age of Islam against the backdrop of globalisation that dislocates people for economic necessities, stresses traditional local culture and downplays social justice. In other words, transnational political Islam fosters itself within the realm of an alternative discourse of globalisation. It is globalisation’s own product and readable as an open rebel to globalisation; in my opinion, it will continue to grow not only in Bangladesh but also all over the world in coming days. Interesting, isn’t it? Once a nation fought and sacrificed lives for its own language and to have its own flag, and is now increasingly hybridised with a mix of identities and cultures. Unavoidable discursive transnational forces of globalization disrupt the nature of traditional culture, social boundaries and foster the rooted cosmopolitanism within Bangladeshis where agents for consumer cultures and rebels of globalisation who themselves are products of globalisation, are maneuvering. With the increasing popularity of rock culture and the alarming increase of youth participation in Islamist movements, I would say we are now increasingly turning into a hybrid society. However, this is not a distinct phenomenon in this world — after all, the world has changed!